This week we are posting about something a little different but it’s still in the realm of motivation and perseverance. At FIT Radio we come across people who motivate us whether it be the DJs through their mixes, the athletes, trainers and fitness models through their will power and healthy lifestyles, or our friends who persevere in such competitive atmospheres that most of us are in awe of their success because most others have failed. We are featuring a young woman who worked her way from the bottom to the very top in a field where not many can say they’ve done the same. We’re talking about Mary Kay and the revolutionary make up line that’s changing women’s lives. One life in particular is Keara Murphy! Keara Murphy moved from New Orleans to Atlanta 3 years ago (2010) after a break up, only knowing her sister and brother-in-law, and what better way for a fresh start than moving to a new city? She began her Mary Kay business just a few months before moving to help herself branch out and grow her network. Within four months of being a Mary Kay Representative she earned her first free Mary Kay car, a brand new Cheverolet Malibu! Keara says: “I loved the person I was becoming in the process of the challenges I had to overcome being a business owner in a new city. My confidence in the business and in myself grew to the point where I honestly believed I could earn one of those gorgeous pink Cadillacs! So I did what my mentors who had earned Pink Cadillacs before had told me to do. There were a lot of no’s, a lot of cancellations, a lot of things deterring me from the goal, but every set back is a set up for success. If growing a business was always easy then everyone would do it. I made mistakes and learned from them. I didn’t dwell on the small things and I kept my eye on the prize!” Then it happened, just 21 months from beginning her Mary Kay business Keara had done it, she earned the gorgeous Pearl Mary Kay Pink Cadillac! Keara says: “It’s almost been a year and every day I drive around in my trophy on wheels and I feel like a million bucks. Every day I get positively affirmed from perfect strangers and people who didn’t always believe in me. The thing I love the most about my Mary Kay business is the person I have become in the process; I am more confident and I get to help other women grow their successful Mary Kay businesses as well!” A feeling that is a reward in itself if you ask us. 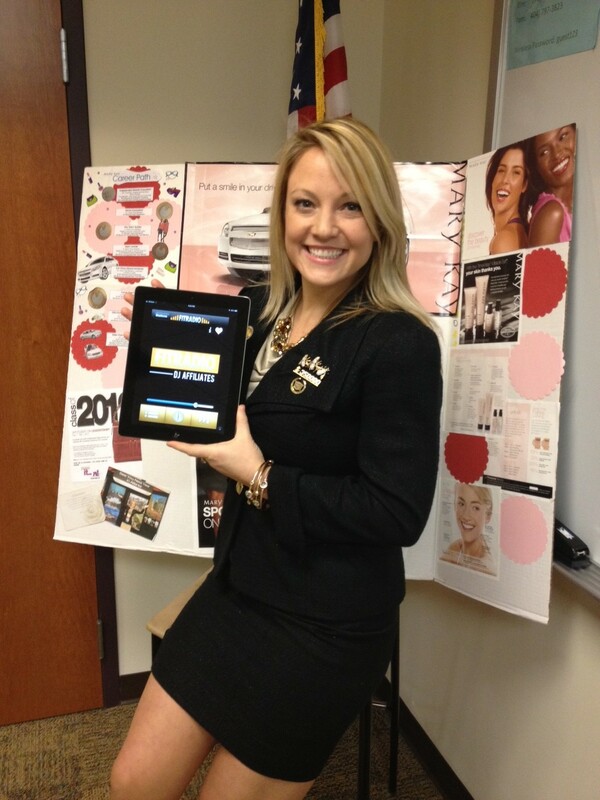 Check out Keara’s contact information if you are interested in pursuing a future with Mary Kay Cosmetics! And make sure to check out her video! To start a Mary Kay business it all begins with a Starter Kit! From there we go over your dreams, your goals, how much money you want to make, how much time you want to spend then make a business plan for each woman individually! It’s exciting to have control of your financial future!